When you guys read this post I will be in thick of it- Yep, my wedding is done and dusted but my sisters is on its way and we will be shop, shop, shoppinggggg! 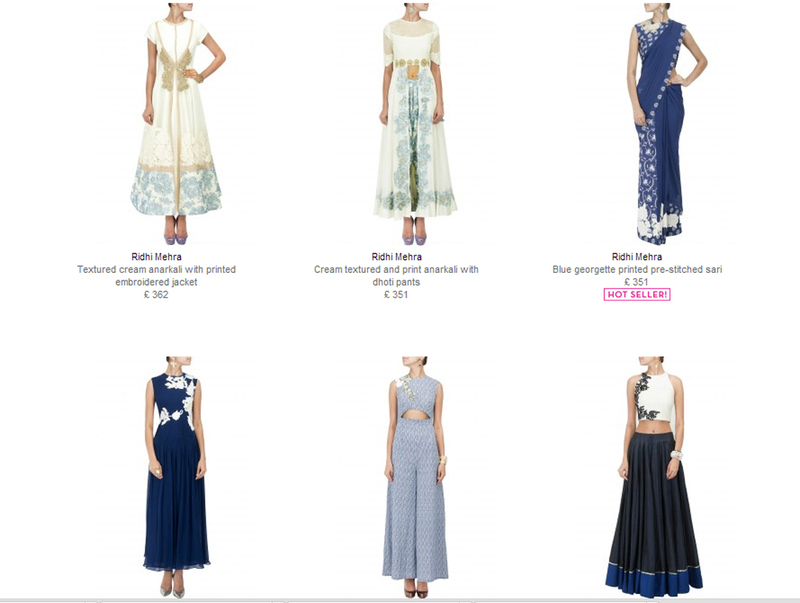 I will be hitting all the stores that are on my Mumbai Wedding Shopping Guide plus hopefully discovering a few more places! Here’s what I have my eye on….my sis is having a destination wedding that’s why my picks are all perfect for hot weather!!! 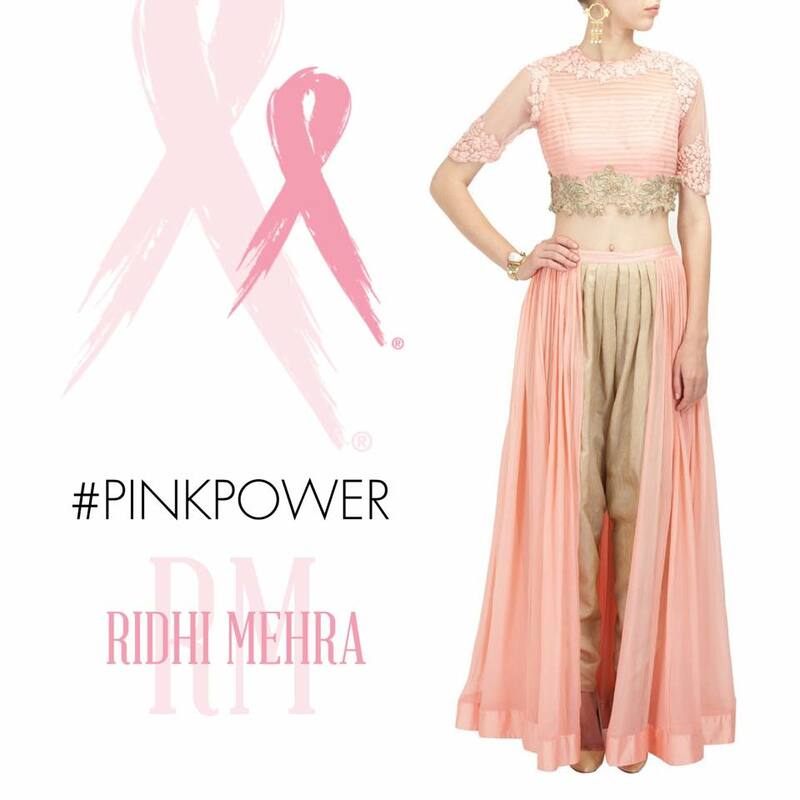 Love this cool skirt/pant/ crop Ridhi Mehra -actually if I’m honest I’ve got my eye on pretty much the whole collection. See below…Ridhi has assured me the full collection is available at Aza. Last time we went they only had a few pieces of hers left : ( my mum did pick up an anarkali but there wasn’t anything for me! My sis and mum went out a few days before me and my sis has already ordered this beauty at Sonaakshi Raaj above. 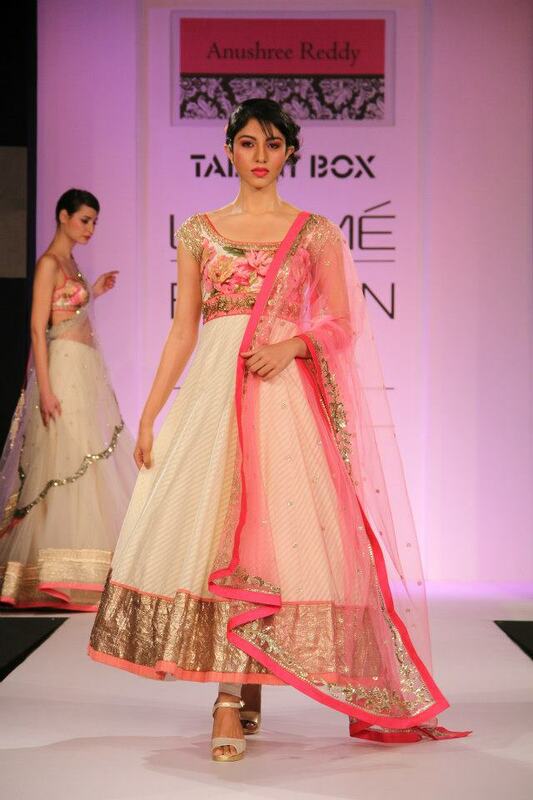 Loved Anushree Reddy’s A/w 14 collection but then again I still love the styles from her last collections! I’ve also got my eye on several pieces by Manish Malhotra! I’ll post on buys when I get back!